Trance, whether you like your trance melodic and uplifting, or hard and fast, trance by any definition is here to stay. From the warehouse parties of the late 80's to car commercials in 2001, trance has become part of the new millennium, part of our lifestyle. And all because of DJs like George Acosta. George proves every time he puts a needle on a record that "trance", whatever the label, has changed, evolved, become a lifestyle, a culture? as well it should. With over 15 years of experience as a DJ and producer, George has helped change and evolve trance from an underground movement to massive festival experiences throughout the world. ?George Acosta is probably America's most unique DJ and has undoubtedly been a major force in shaping the sound of trance in Miami and beyond? says fellow DJ Dave Ralph. 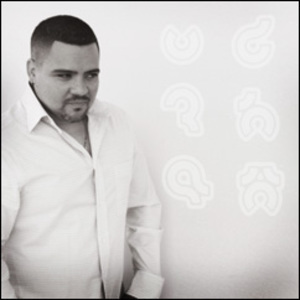 George Acosta is America's representative in the global Trance scene. Coming up playing warehouse parties in his native Miami, he then went on to producing tracks of his own with such international hits like Planet Soul, Emotions, Taking Over Space, R U Awake and The Reaper. He then made the next logical step for a successful DJ/producer and opened his own record store, Grooveman Music in Miami. He knows his crowds so well because he is just as big a fan as they are of his music. Just like the thousands he plays for, George Acosta lives it. George tries to maintain a close connection to the people who come to hear him play because like them, he discovered the music as a fan first. It was during his three-year residency at Miami's famed Shadow Lounge that George honed his craft and began educating South Beach to this wonderful emotional roller-coaster ride that was quickly moving west from Europe. Now firmly entrenched in South Beach, George produced his first mix cd, "Awake". This became the definitive sound of South Beach. It was this same cd that helped propel George on to the world stage. With record bag and headphones in hand, George prepared to move the planet in his own unique way. He began playing some of the biggest clubs and festivals in the world, Berlin's Love Parade, Miami's Ultra Beach Festival and Rave on the Rocks to name a few. And with demand for George reaching a fever pitch, he produced his second mix cd,"Release: AM and PM". This ambitious double cd was representative of his legendary all night sets, evoking the different emotions and textures of his sets, from epic, string-soothed splendor to searing tech-trance. The demand for all things George Acosta soon led to other successful mix cds: such as "Trance Nation America" through Ministry of Sound along with his latest release entitled ?History of Trance? on Ultra Records. George is also currently in the studio working on some original material with such artists as worldwide sensation Jon Secada among others. "Traveling to different places and countries every week, playing for so many people - it makes me want to play more intimate stuff," he explains. "I used to play harder. Now I'm into the more melodic stuff. I guess when you grow into this scene you want to play records that mean something." George proves he's a trance DJ that can move onto something bigger and better. "Whenever I play anywhere, I feel like I am at home, I look down to the dance floor and I see my people, they understand me, they understand what is happening as I spin my records." It's a journey that happens week after week, and George is their guide.